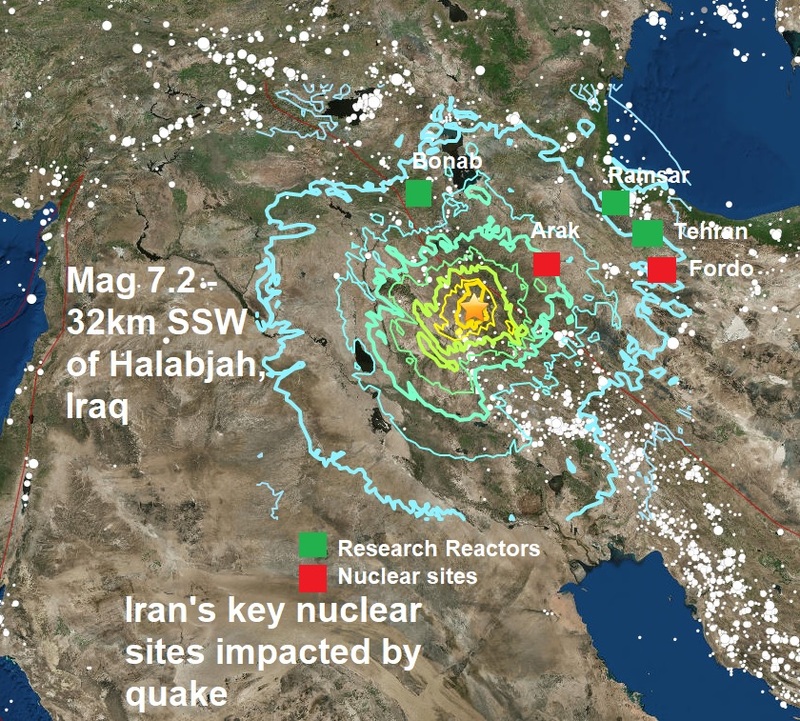 One of the biggest quakes of the year, a mag 7.3 has struck - 32km SSW of Halabjah, on the Iraq, Iran border impacting some of Iran's key nuclear sites and millions of people living in the area. Three research reactors and two nuclear sites are in the USGS shake area, see map above. Arak - Heavy water reactor and production plant. The existence of a heavy-water facility near the town of Arak first emerged with the publication of satellite images by the US-based Institute for Science and International Security in December 2002. Spent fuel from a heavy-water reactor contains plutonium suitable for a nuclear bomb. The quake comes during much tension in Iran with the U.S. over their nuclear deal and a possible war developing between Iran and the Saudis. Today's quake is the 8th major quake of November and is the 94th major quake of a very quiet 2017 as this year promises to be the lowest total of major quakes this century.